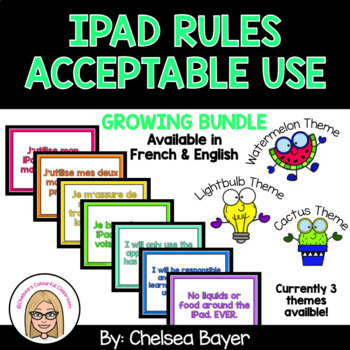 This product includes 7 iPad rules in both FRENCH and ENGLISH. These posters are perfect to display in your classroom, with cute watermelon graphics. 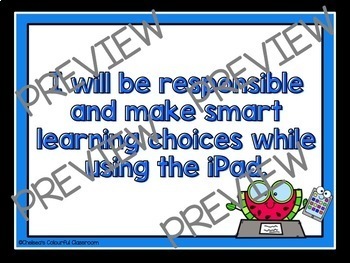 Whether you have 1:1 devices or even a single device in your classroom, these posters help remind students to be responsible while using a device in class. *THIS IS A GROWING BUNDLE* --> I will be adding more versions with different graphics to go with a variety of classroom themes. Special thanks to Kimberly Geswein Fonts and Krista Wallden - Creative Clips.